Credit cards give us the freedom to purchase things whenever we desire. They often come with a range of attractive benefits and rewards that encourage us to spend, and the “buy now, pay later” incentive makes them very tempting to use – even if we have the cash to pay outright. When used properly, credit cards provide significant financial freedom, but as this guide shows, there are a number of traps that are all too easy to fall victim to. If you want your credit card to work for you and not against you, make sure to avoid these traps. The biggest credit card trap is the penalty interest rate. This is included within the terms and conditions of most major credit cards, and in many cases you only need to miss a single payment or exceed your balance a single time for this rate to kick in. The difference between standard rates and penalty rates is often very big – often as much as 10% or 15%. There are two ways to avoid this trap – go with a card that doesn’t come with a penalty APR (credit unions and regional banks are a good bet here), or make sure that you never fall foul of the rules. A good way to ensure that you do not miss payments or exceed your limit is to set up payment and balance alerts with online credit card services. Minimum payments might seem like a blessing, but when high balances are involved the reality is much different. If you only pay the minimum each month it will take you an extremely long time to pay off the balance (depending on the balance and the applicable interest rate), and often your minimum payments will be negated by incurred interest fees. To avoid this trap, you should commit yourself to paying more than the minimum monthly repayment. For example, if you pay twice the minimum monthly payment, you can slash the time it takes to repay the entire balance. It can be huge challenge to get a credit card if you have bad credit, but if you have established credit it is very easy to acquire multiple credit cards. The temptation is to go with all of the offers available to you, but this is a temptation you should definitely avoid. The best way to avoid this trap is to restrict yourself to one or two cards only – you might want to have a low-APR card for general purchases and a rewards card to save money on those occasional high-ticket purchases. If you can save money by transferring a balance on an existing card to a new card, cancel the old card. What you don’t want is lots of cards with lots of separate balances. This is definitely bad practice! There are loads of rewards-based credit cards that draw you in with ‘super’ sign up bonuses, such as $100 cash back or 25,000 bonus miles after making your first purchase. However these sign up bonuses come in two flavors. One of them requires you to spend a certain amount in a limited timeframe before you can get your hand on the bonus. Read the offers carefully so you know what to expect. Credit cards can be a real saving grace when you are faced with unexpected expenses… but only if you have enough room to spend. The temptation is to spend until you reach your credit limit, and then hover around that point indefinitely. But at this point your credit card can no longer help you out when you absolutely need it. 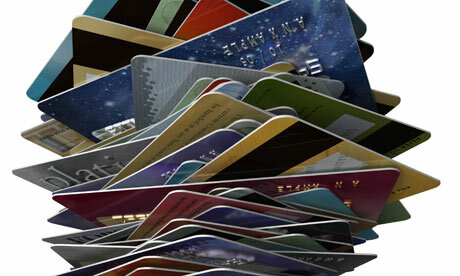 At this point you may be forced to apply for a new card or have your existing limit extended. You should be the one in control of your card – it shouldn’t be the other way around. 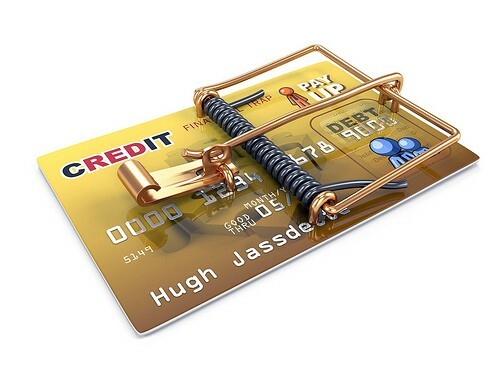 In addition to avoiding these traps, always remember to spend carefully with your credit card. There’s no need to be afraid of your card as long as you avoid the traps. If you use yours properly, it will give you that all-important piece of financial freedom. Entry was postedon Monday, December 23rd, 2013 at 10:57 pm	under Best Deals Category.You can skip to the end and leave a response. Pinging is currently not allowed.